You are invited to our IEE/ESL graduation celebration. 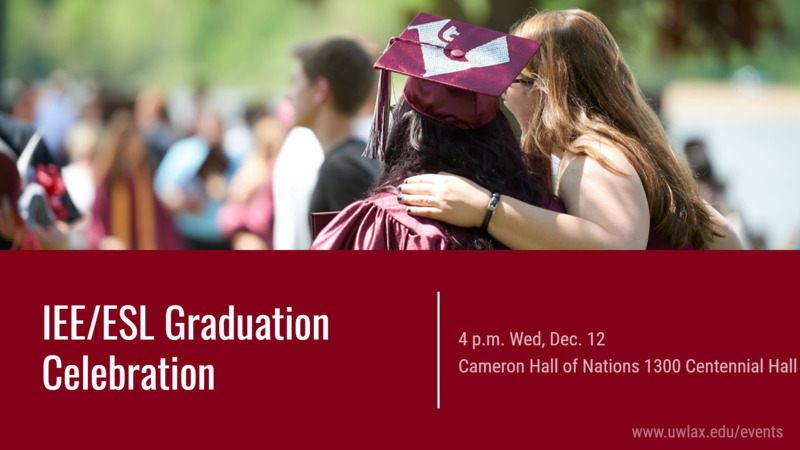 Join us in celebrating graduating international and study abroad students as well as departing exchange students. To RSVP to attend this program please sign up here! To request disability accommodations (accessible seating, interpreting, closed captioning, FM systems, etc. ), contact Miranda Panzer at mpanzer@uwlax.edu or 608.785.8016.